Without the presence of Michael Fassbender and Brendan Gleeson there would be nothing much in director Adam Smith’s gritty take on the life of a travelling family to recommend. Financed by Channel Four films Trespass Against Us doesn’t hide its low budget origin. Filmed almost entirely in a travellers encampment, Trespass Against Us feels and looks like a standard Sunday evening TV drama. Fassbenders character, Chad Cutler, is the illiterate son of Colby Cutler (Gleeson), forever living in his father’s shadow he secretly plans to take his wife (Lyndsey Marshal) and their two children, Tyson (Georgie Smith) and Mini (Kacie Anderson) to a neighbouring caravan site. The only problem is that Chad has no money, so in order to finance his move he leads a gang on raids of local country mansions. This in turn brings Chad not only into conflict with the local law enforcement, led by local Bobbie, PC Lovage (Rory Kinnear) but also his wife. Fassbenders character is not particularly likable and whilst the director’s intention might have been to make him out to be some sort of modern day Robin Hood what he instead feels like is an uneducated thug who just sees and takes what he wants. Trespass Against Us doesn’t paint a very good picture of the travelling community as their mostly made out to be thieves and wasters. The only voice of reason is that of Chads wife and she is an outsider who has married into the traveling life, a choice which has led to her being disowned by her own family. 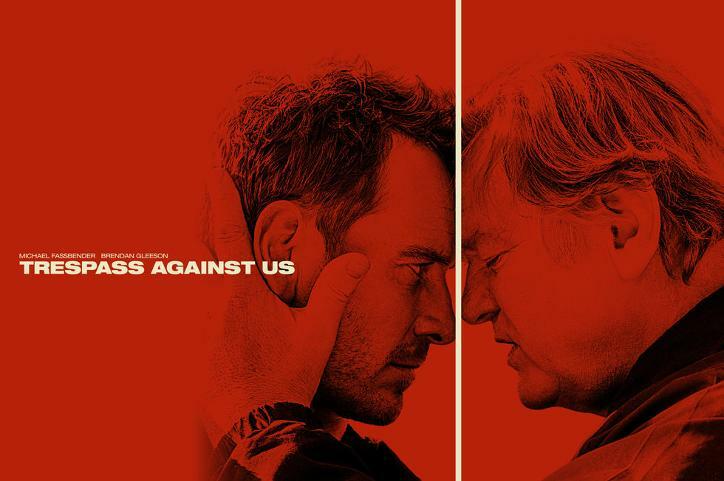 Trespass Against Us, given the talent that’s on show has to go down as a major disappointment, whilst not a complete disaster it’s probably more suited to a Saturday night viewing in front of the TV than watching on the big screen at your local cinema.